Instead of struggling to piece together elaborate gift boxes for your party guests, enlist the help of a professional service. KidsParties.Party features services that specializing in handcrafting one-of-a-kind favors for all types of events. Send your guests home with fully-customizable keepsakes and mementos. You can also find services in Connecticut that will provide matching centerpieces and décor for your event. Want to attempt making your own custom gift boxes? Scroll below to find out how. As a kid, everyone knows that the best part of attending a birthday party is going home with a goody bag. 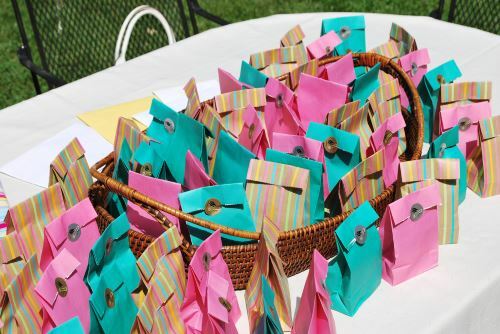 For parents, creating custom favors for a dozen (or more) children is just another step in the birthday planning process. We have some tips on how to create one-of-a-kind gifts for your guests. 1. Gift boxes: Elevate the standard goody bag to a higher form by wrapping everything up in a gift box. Gift boxes come in variety of shapes, such as rectangular hat boxes, pillow boxes, takeout style containers or tins. You can also add decorative touches to your box, such as ribbons, bows and tissue paper. They come in a variety of colors and patterns, so you’ll be sure to find one that fits your theme. Check out some of our favorites from PaperMart.com. 2. Candy: While store-bought candy is nice, consider filling your gift box with custom candies. Online retailers, such as Sugarfina, offer diverse types of candies, chocolates and treats in a variety of colors. 3. Trinkets: The birthday child shouldn’t be the only one receiving gifts. Thank your guests by sending them home with trinkets and other small presents, such as bubbles, stickers, temporary tattoos and colored pencils. This is another great way to incorporate the party theme into your gift box. If you have the time to create gift boxes for your guests, then use our helpful tips above to create the perfect ones. If you are hosting a larger event, such as a sweet 16 or mitzvah, consider enlisting the help of a professional vendor. KidsParties.Party can help you find services in Connecticut that will do all of the hard work for you. 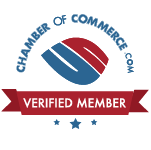 Simply click on a listing for a business that serves your area and contact them directly. Make your party invites too! We have an innovative software you can use for free to design your own party invitations. Sift through the dozens of pre-designed templates, or choose to start from a clean slate. You can even make your own birthday card here too! Find the perfect wish to write in from our lists. We have hundreds of birthday messages for boys and girls of all ages, as well as some uncategorized ones that are good for just about any birthday! Are you a kid-friendly party business? Get listed! Register today for an account.